I totally oppose the development proposal to destroy the golf course and build 3,222 residential units for an estimated 9000 people. This land is an important part of our Cultural Heritage Landscape and should be protected. 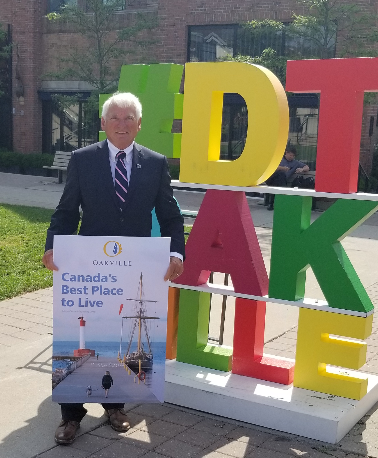 Oakville Council and staff have worked hard to create a strong and visionary Official Plan. Developing Glen Abbey is totally incompatible with the Official Plan. Unfortunately, the Province insists that if an application is submitted it must be considered, and so that is what has had to happen. Council voted unanimously to fight this development proposal and has spent a lot of time and resources mounting a strong defense against it. The community has worked hard to send a clear message that this development is not required or wanted. This has been strongly confirmed during my conversations at the door during this election campaign. I will do all I can to ensure that the development does not take place, and I believe we have an excellent chance of winning this battle. Did you know that growth does not pay for itself? When you see a new subdivision being built, you should know that as a taxpayer, you are subsidizing the development costs. 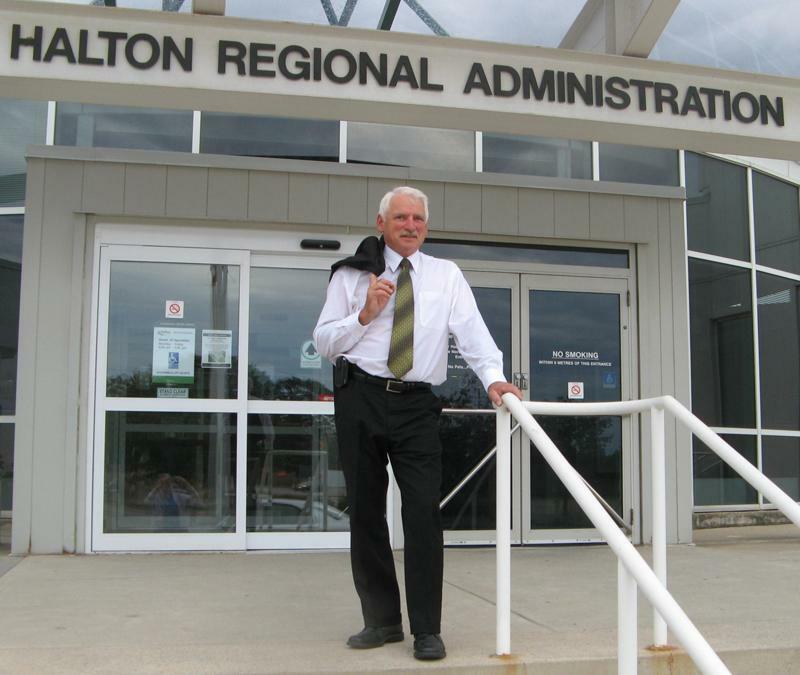 Taxpayers in Halton Region subsidized development to the tune of more than $80 million annually! Development Charges is a complicated topic, but here is my version of Development Charges 101. The Ontario Provincial Government dictates to a large extent how much a Region must grow, and how the costs of growth are managed. Development charges are what the developer must pay the Town and the Region for the infrastructure required for the development, such as roads, utilities, facilities etc. The Province limits how much a developer needs to pay for these things. The shortfall is paid by the local government (Town and Regional), via property taxes. The Province has left some room for a municipality to tweak the level of development charges collected. Some communities purposely keep development charges low to attract development for short term gain. Other communities press for the highest level of development charges allowed by the Province, in order to keep the subsidy from the public as low as possible. Over the last several years Oakville and Halton have pressed to have development charges be at the maximum level. Developers fought this vigorously, and some said they would refuse to build in Halton for that reason. Halton Council basically responded with: “so don’t build here then”. Of course, in the end, the development applications poured in, despite the fact that our development charges are the maximum allowed by the Province. You may be wondering why the Province does not allow development charges to cover the full cost of growth. Good question! This situation has existed for a long time, and in 1997 the Provincial government of the time decided to change the Development Charges Act to require existing residents to pay an even bigger portion of the costs of growth. That is how the situation remains despite pressure from municipalities to change it. charges never really gets the attention it deserves. I have talked to many people who still believe that growth pays for itself, and that growth actually makes communities richer by expanding the tax base. If that were true, with all the growth we have endured, our government coffers would be overflowing by now! This has been a stubborn and dangerous issue for a long time. Many things have been tried with mixed success. Speed bumps, traffic calming islands, signage and cameras publishing speeds all help, but the problem persists. Police monitoring is very effective, but police resources are limited and expensive. One possible solution which is being considered is mobile photo radar. This technology was in place in the 90’s and was removed by the Provincial government. Since then the technology has advanced and perhaps it is time to take another look at this concept. Mobile photo radar is being tested in Toronto and we are monitoring how it is going there. Even if the testing results are positive, there are several hurdles that would need to be overcome. There is the expense to be considered, and how the system would be managed. I am in favour of continuing to explore this option because speeding is unacceptable for so many reasons. Finally, what could be the best solution could also be the cheapest and easiest to implement. This totally cool speeding solution, that has been highly effective in the UK, is called Scarecrow Policing. It involves placing a realistic looking “cardboard cut-out” of a police officer holding a radar gun in an area where speeding is an issue. People see it, think it is a real officer, and slow down. To remain effective over the long haul, the cut-outs would need to be moved around, and occasionally replaced with a live officer. The Scare-crow policing concept is being implemented in BC, and I plan to see how we can try it here too. Take a look here to learn more. Being stuck in traffic is a frustrating and increasingly serious problem throughout the GTA. Here in Halton some exciting, new, state of the art technology is being readied for introduction as an Advanced Traffic Management System. Implementation will begin next year, and could make a big difference in keeping traffic moving more efficiently. Here is summary of what the system will include, and how it will work. The technology being introduced on Regional Roads is an Advanced Traffic Management System, which is a state-of-the-art traffic signal control system that will improve the performance of the existing road infrastructure through active traffic management. The system consists of a a very powerful central processing unit programmed with complex algorithms, working together with equipment in the field such as detection devices (loops, video cameras, radar etc. ), closed circuit television cameras, traffic signals, warning and travel time information signs/messaging boards, emergency and transit pre-emption devices, monitoring and data collection devices etc. All these intelligent devices work together to move traffic safely and efficiently in response to real-time traffic demands and allow staff to make informed decisions based on real-time data. It is anticipated that on average, over a four-year implementation timeframe, 20 to 25 per cent of the intersections per year will be added to the system. It is anticipated that within a four-year timeframe a majority of Halton Region’s key intersections will be implemented on the system. Halton has a plan called the Comprehensive Housing Strategy (2014-2024). It requires 30% of new housing to be affordable or assisted – in 2017 this was exceeded with 49.9% in this category. Halton recently was successful in a competitive proposal to receive annual funding from the Province via its new program “Home for Good”. Currently, Halton is participating in the consultation process for new affordable housing initiatives and funding from the Federal government. Halton has budgeted $4.2 billion in infrastructure capital over the next 10 years. Much of this money will be recovered through development charges, but due to restrictions in the Province’s Development Charges Act, Halton and its municipal taxpayers are left covering the more than $87 million shortfall a year. We need to continue to pressure the Province to force developers to pay more of the costs of growth. Many of Halton’s infrastructure challenges stem from the fact that the Province is slow to play its part for the growth it has mandated. For example, delivery of community infrastructure such as schools is not currently aligned with the timing of growth in Halton. Between 2018 and 2029, 14 new elementary schools and 4 high schools will need to be built. We must insist on the timely delivery of Provincial infrastructure funds to keep pace with growth. I feel we should not continue to grow until there is a commitment from the Province to fund this infrastructure. Provincial highway congestion puts pressure on Regional Roads. Increased Provincial investment in highways, bridges, transit and active transportation routes is necessary to meet the critical infrastructure needs of the growing Halton community. financial services; digital media & information and communications technology; life sciences; and advanced manufacturing. We should capitalize on Sheridan College’s exceptional arts programs by working to entice Disney, Imax and others to create satellite incubation hubs here. That would help keep our talent at home. Continued investment in Oakville’s economic development website will grow digital audiences and attract international businesses. We must ensure that an adequate supply of shovel-ready land is available for new investments and expansions. Halton recently reduced its industrial and non-retail property tax rates, in order to attract future investments in these categories. Many communities share the problem of empty stores in their downtowns. Big box stores and online shopping have drawn retail business elsewhere. High rents add to the challenge. These are all factors that a municipal government has little power to influence. However, the Town’s 2018 ten-year capital forecast includes $12 million for the Lakeshore Reconstruction/Streetscape and Towne Square Revitalization projects. Much of this money is dedicated for infrastructure replacement. To minimize the impact of this construction on businesses the Town is proposing free parking on Saturdays, and the addition of 30 new parking spots on Navy and Water streets, and 50 parking spots at the former fire hall. Additional community events on the main street could help draw people to the downtown. Midnight Madness and the Christmas Tree lighting always draw huge crowds. More stores could be encouraged to be open in the evening. Oakville and Halton have been working on a Climate Change Strategy. The link below gives the details. It is gratifying to see how the public has embraced the concept of recycling via blue boxes and green bins. A couple of decades ago people threw all waste in the garbage which quickly filled up landfills. In 1992 when Halton’s waste facility opened its life was predicted to be 20 years. Now, it is predicted that the facility can continue for at least 50 years! However, placing a blue box at the curb on a windy day can lead to litter throughout the neighbourhood. Possible solutions have been explored. Large bins on rollers would solve the litter problem, but would cost the Region over $10 million to implement, and would slow the collection process. Lids on traditional sized blue boxes would also seriously slow the collection process (time is money). It was decided that putting recycling material in clear plastic bags is the most acceptable solution to the litter problem. However, it does require a minimal additional cost to the resident to purchase the bags. Another solution to blue box litter is public education. A little more attention to how items are placed in the blue box is very helpful – heaviest items on top. In addition, stacking your blue boxes reduces the chances of items blowing away.